Take part in the new Feed on the Go contest launched by Enfamil Canada and run a chance of winning one of the 3 exciting prizes. The contest runs until November 28th 2014. Read the details below! To participate in the Enfamil contest, just sign up on the contest main page. Limit one entry per person. This contest is ideal for new moms as well as family (great gifts!). There are 3 prizes with the total value of $1,100. 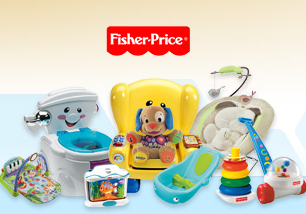 Second prize: a Fisher Price prize pack (value: $350) consisting of a Fisher Price Ocean Wonders Aquarium, Fisher-Price My Little Snugabunny Bouncer, Fisher-Price Kick and Play Gym, Fisher-Price Rock-A-Stack, Fisher-Price Baby’s First Blocks, Fisher-Price Corn Popper, Fisher-Price Whale Tub, Fisher-Price Laugh and Learn Puppy, Fisher-Price Smart Stages Chair, Fisher-Price Cheer for Me Potty.